Hyde Lake is part of the Yamsi Ranch property and is located 15 minutes from the town of Chiloquin, Oregon. The lake is about 200 acres and offers rainbows that average 3-7 pounds with a few brown and brook trout possible. This lake was on fire through most of last season where rainbows ran mostly 4-6 pounds and with 10-15 fish days the norm. 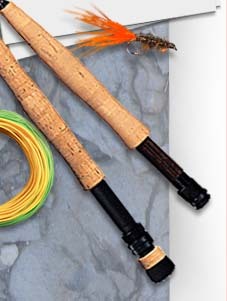 It is best fished with a cast and retrieve or trolling form of presentation although indicator fishing work very well. We will do a 3 hour clinic, break for lunch and fish the afternoon till you get tired of catching big trout. 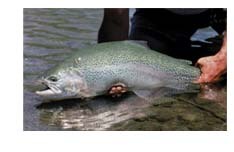 You won't be disappointed with the opportunity to learn stillwater tactics and catch big rainbows.